Discussion in 'Mayberry Lounge' started by FamousSFO, Jan 8, 2013. Any who, I don't have a passport but live near Mexico border. An opportunity came up to go to Puerto Vallarta, and I was wondering if I were to take a plane out of a Mexico border town would I still need a passport traveling from Mexico to another destination in Mexico? A little unclear. Are you asking whether you can travel within mexico, by plane, without a passport? Answer is yes if you can show mexican id. No. Not if you're not a Mexican citizen. You can go to Juarez for the day, though. Me too but I haven't been since about 2000. Went to PV, in fact. Cool place. Guadalajara is a very cool city. Been a long time since I went there. I used to play golf at Santa Anita Golf Club. It's not the Army checkpoints that are the problem. It's the Zeta and Gulfo checkpoints that I'd be concerned with. That is the question, but I am not a citizen of Mexico. Very fluent in Spanish as I grew up 20 minutes from Mexico and my parents were both born in Mexico (I know that doesn't matter). So as an American citizen, to travel from Mexico to another destination in Mexico is not possible then, correct? You need a passport to go beyond a certain distance from the border. I don't remember what that distance is. Maybe 100 miles? I'm not sure. But, you'll need a passport to go beyond that limit. I mean, you probably don't have to worry if you can pull off pretending to be a Mexican citizen, or if you have some cash to pay off the Mexican police. But, why take the chance when a passport doesn't cost that much? Plus, it'll be good for ten years. Just get a passport man. Play it safe. Also, it will prevent any problems or delays for you when you want to come back to our side of the fence. 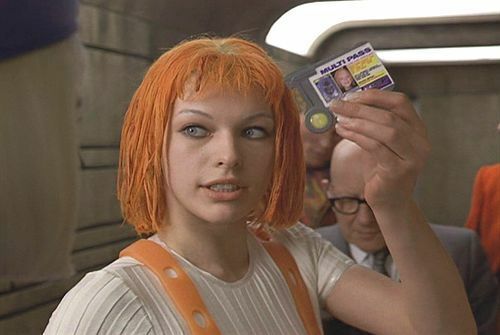 Just get a multi pass. You need a passport to go beyond a certain distance from the border. I don't remember what that distance is. Maybe 100 miles? I'm not sure. But, you'll need a passport to go beyond that limit. I mean, you probably don't have to worry if you can pull off pretending to be a fan Mexican citizen, or if you have some cash to pay off the Mexican police. But, why take the chance when a passport doesn't cost that much? Plus, it'll be good for ten years. Just get a passport man. Play it safe. Also, it will prevent any problems or delays for you when you want to come back to our side of the fence. You're very right in saying play it safe. My worry was more of a time problem. Maybe I can pay off whomever I need to while over there but I'm starting to realize the risk outweighs the reward. As a guy who partied a lot in Mex while 17-20 years old, every time we would go out over there I always set 50 bucks in my glove compartment for cops and it was used more often than not. wouldn't you automatically be a mexican citizen if your parents were born in mexico? Not that I know of. I was born here and don't have any type of Mexico ID.